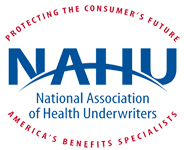 We Unravel the Mysteries of Health Insurance! Use this FREE self-help tool to quickly shop for the best Medicare Insurance rates available, right online. Use this FREE self-help tool to quickly Get a Disability Quote, right online. Welcome to Benefits at DCD Financial & Insurance Services! The home of low cost California health solutions. Unraveling the mysteries of Healthcare is our specialty. Covered California, Medicare, Employer Group plans, we do it all. Even the most intelligent people admit that they really struggle when it comes to choosing their best health insurance options. We offer our clients free coaching to help them unravel the mysteries of health insurance. Together, we help them determine which options fit them best, and walk them through the entire enrollment process. After the enrollment, we stand behind them providing the ongoing peace of mind that they have a “go-to” person when questions arise. DCD Insurance Services has been serving California and the community of Santa Cruz since 1938. At DCD Insurance Services, our ultimate goal is to create lasting relationships with each of our clients so that we may continue providing excellent service for many years to come. Our health benefits department offers coverage from the addition of a new baby to your family, to clients transitioning to Medicare. We work with individual/family, group, and Medicare health plans to aid you in all your life transitions.We pride ourselves on finding solutions within the law that help you meet your personal needs, while qualifying you for any assistance you may qualify for. Medi-Share Affordable, Biblical Healthcare: Learn more Here! Although our primary area of service is located in Santa Cruz, California, DCD Financial & Insurance Services offers unparalleled service and competitive quotes to clients throughout the entire State of California!